Inducted into the Pennsylvania Sports Hall of Fame (Allen Rogowicz Chapter) for athletic achievements in high school and college, where he played football for the Princeton Tigers. Over 25 years in the insurance industry. The Nationwide Insurance: Spotts Insurance Group Inc. in Pine Grove, PA provides the following products. To learn more about each insurance product, click on the links below. Many terms associated with auto insurance can be confusing. For example, what does "comprehensive car insurance" mean? You will get answers to questions and much more when talking about your insurance needs with Spotts Insurance Group Inc.. We work with Nationwide to bring you excellent service and coverage in Pine Grove. Give Spotts Insurance Group Inc. or another experienced agent a call today at (570) 345-3252. Drivers can discuss options over the phone or in person at 90 S Tulpehocken St.
For years, Spotts Insurance Group Inc. has been helping homeowners safeguard their most valuable possessions. 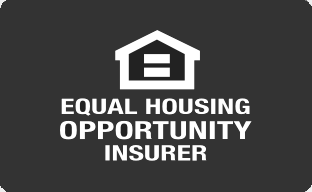 We are a fully licensed Nationwide Insurance agency, and when you allow us to provide you with home insurance, you will be gaining access to some of the best customer service in the country. Nationwide home insurance protects your home in the event of theft, natural disaster, water backup, and other occurrences. Our insurance policies not only have the ability to protect your home and other structures on your property, but they also extend coverage to the items inside of your home that you worked so hard to acquire. Jeffrey A Spotts has an in-depth understanding of our Nationwide home insurance products and other personal liability policies. Find us in Pine Grove at 90 S Tulpehocken St. Our agents are highly trained and are capable of answering all of your questions about home insurance policies. Call Spotts Insurance Group Inc. at (570) 345-3252 to explore your insurance options. When you’re ready to purchase life insurance, it helps if you start off by choosing a good life insurance agent in Pine Grove. Whether you already have a policy and are looking to update coverage for yourself or you’re ready to start a family and want to learn coverage options, you’ll need an agent that is as good as the insurer they represent. At Spotts Insurance Group Inc., our agents work hard to provide customers with the service and coverage options they need to strengthen their families’ financial security and help them enjoy peace of mind. If you’re not sure how to get the coverage you need or are not sure if your current policy is enough, feel free to stop by 90 S Tulpehocken St, Pine Grove, PA, 17963 to speak with Jeffrey A Spotts. You can also contact them directly by dialing (570) 345-3252. As a business owner you have a lot of responsibility. One of your priorities should be to make sure that you are properly protected in the event of a loss. At Spotts Insurance Group Inc. in Pine Grove, we understand that every company has its own unique risks and coverage needs. That is why we go over your business in detail including if you own or rent your building, the number and types of employees you have, and the nature of your business. We then recommend a custom plan to make sure you are protected against a variety of different risks. When you are ready to protect your company, Jeffrey A Spotts is available to walk you through your options. You can call our office at (570) 345-3252 to set up an appointment or speak with an agent over the phone. You can also visit our office at 90 S Tulpehocken St. The Spotts Insurance Group Inc. also offers products in DE, MD, NY, PA, SC, VA, NJ. Please call for information on products in those states. About Spotts Insurance Group Inc.
For 25 years, we have been passionate about providing protection, service and value. Our staff is committed to being there when you need us. That's why a high percentage of our business comes from referrals. We are honored to have earned the trust and respect of our clients. With offices located in Wyomissing, Hamburg, Reading, Schuylkill Haven, Mertztown and Allentown, we are able to provide insurance and Notary services in Berks, Schuylkill, Lehigh and surrounding counties in Pennsylvania. We invite you to join the SIG family of satisfied clients! When it comes to customer service, we'll admit it, we're a little old-fashioned. With the Spotts Insurance Group (SIG), you'll always feel right at home, like a member of the family. Since 1993, we've been providing peace of mind to our clients. We offer auto, home, business, life & farm insurance along with protection for your toys (motorcycles, RVs, classic cars, boats and other watercraft). Proud to serve the Wyomissing, Reading, Schuylkill Haven, Mertztown, Pine Grove & Allentown areas. Average customer rating for Spotts Insurance Group Inc.